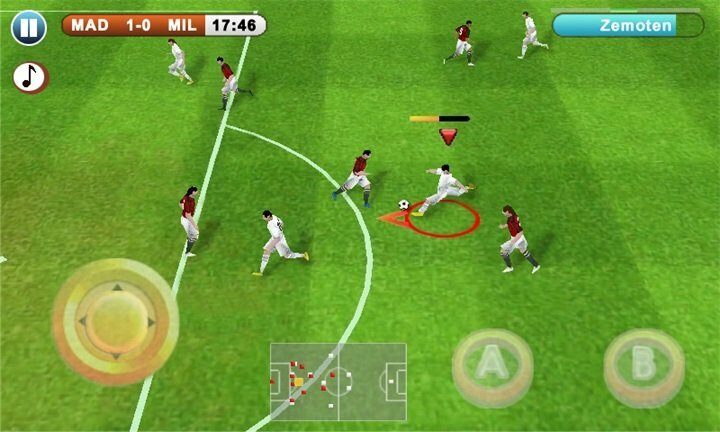 As promised, Gameloft’s long-in-development soccer simulator, Real Soccer (also known as Real Football in Europe) has made it to the Windows Phone Store. It took some digging to find the North American download link, as the European version counts as a separate title and can’t be downloaded from the US. But our friends Judbud and Zebrasqual came through! 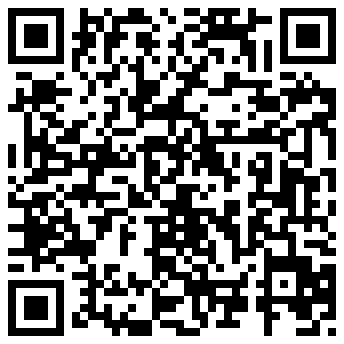 Head past the break for our impressions and download links for both versions of the game. 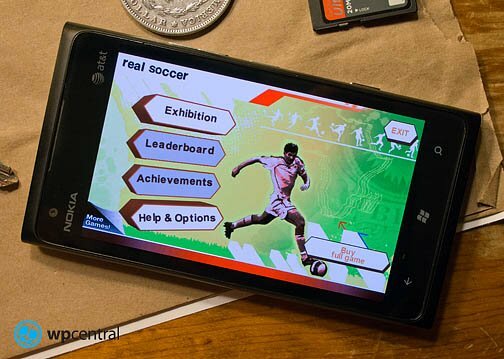 As mentioned in our previous story, the Windows Phone version of Real Soccer is a port of Real Soccer 2010 for iOS. 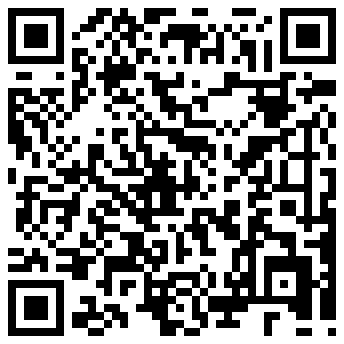 Like Asphalt 5, it was slated to launch at the end of 2010 or beginning of 2011 only to get stuck in development hell. Somehow the game pushed through and finally made it to release, though it’s two iterations behind since other mobile platforms are on Real Soccer 2012 already. The point of this history lesson: Real Soccer doesn’t exactly impress from a technical standpoint. The players are blocky and angular, closely resembling what you’d see in a PSOne game from the nineties. Of course, the Windows Phone 7 hardware specs aren’t exactly light years ahead of the PSOne’s, but Konami’s PES 2012 still looks markedly better. Luckily Real Soccer scores much better in the sound department. Authentic crowd sounds and a vocal commentator help create a realistic atmosphere, and that’s gotta count for something. I had hoped Real Soccer would have a more arcade-y feel than the simulation-oriented PES games. The first time most of us play a new game, we want to feel a sense of accomplishment and be given a chance to slowly ramp up to the more technical aspects of the gameplay. Well, Real Soccer is definitely a bit easier than PES. In my short playtime, I had no trouble keeping the ball away from my opponents or blocking their shots when they did manage to get it. I couldn’t score a goal to save my life, but I guess that’s sort of expected from soccer games. Real Soccer costs $2.99 and you can get it here if it’s available in your region. 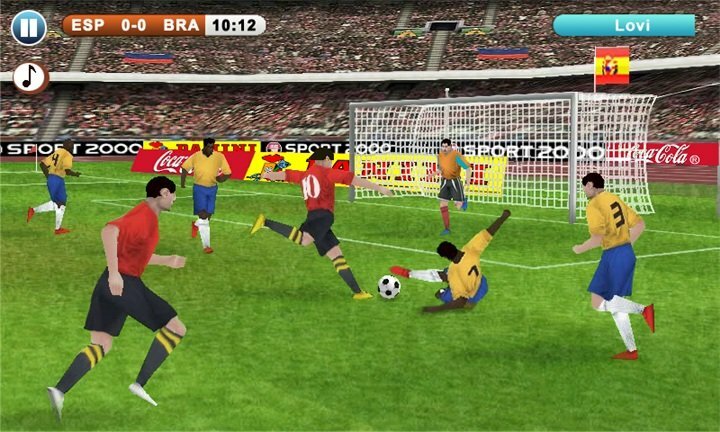 If not, pick up the European version, Real Football here on the Windows Phone Store. Thanks to Judbud and Zebrasqual for the tip!